MY BOOK, THE MOVIE: Glenn Cooper's "Sign of the Cross"
Glenn Cooper is an internationally known bestselling thriller writer who has sold over seven million books in thirty translations. His first novel, Library of the Dead, sold over two million copies. Of his thirteen published novels, many have become #1 fiction bestsellers in various European markets. He graduated from Harvard University with a degree in archaeology and got his medical degree from Tufts University School of Medicine before becoming an infectious diseases specialist. He later went onto medical research and biotechnology and became the Chairman and CEO of a large, publicly-traded biotech company in Massachusetts. During his free time he wrote screenplays and then tried his hand at novels, culminating in Library of the Dead, which is now in development as a TV series. 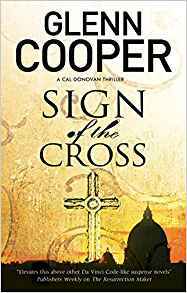 His current series of religious conspiracy thrillers, beginning with Sign of the Cross, features Cal Donovan, professor of history of religion and archaeology at the Harvard Divinity School. Cooper lives and writes full-time in Sarasota, Florida. Actually I’ve been thinking about this topic lately, not for Sign of the Cross, but for my earlier Library of the Dead trilogy, which is in development as a TV series. Without getting into the thinking on that project, I’ve come to the same conclusion as many, many casting directors of late, that British and Commonwealth actors are lights-out great playing Americans. 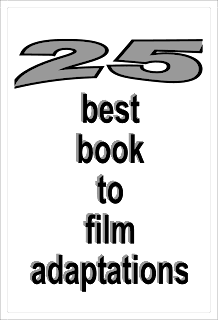 Think Damien Lewis in Homeland and Billions, Dominic West and Ruth Wilson in The Affair, Ben Mendelsohn in Bloodline, Daniel Day Lewis in Lincoln and There Will Be Blood, Andrew Lincoln and Lennie James in Walking Dead, Idris Elba in The Wire, and Matthew Rhys, ironically enough, in The Americans. The hero of my new book, the first in a new series, is Cal Donovan, a professor of history of religion and biblical archaeology at the Harvard Divinity School. He’s late forties, wicked smart (of course), handsome (of course), and athletic enough to get himself out of a scrape or two. So, going with my American conversion proposition, I’d pick Dominic West as my bestie, with Ben Mendelsohn as a close second.